The Cheaponana's Guide to Seoul, South Korea Part 3 – Navigating the complicated Seoul subway | Cheaponana.com - The best credit cards in Singapore and other deals to help you save, earn and maximise your money! Well, at first glance, the subway map reminds me of Tokyo’s public transportation system, and honestly, it took a while to get used to it. There are currently a total of 17 lines (nine numbered lines plus a smattering of named suburban lines), all distinguished by different colors. All signs in the subway system are in Korean (both hangeul and if applicable, hanja) and English. There are 2 ways to pay for your train ride – either using a single-use ticket or a T-money card (which is similar to our EZ-link). As mentioned in the previous article (Part 2), there is an option to get the T-money card at 2000 KRW when you buy a AREX Express Train ticket-T Money bundle at 8900 KRW when you arrive in Incheon Airport. Alternatively, one can get the same card from any convenience store at 2500 KRW. The benefit of using the T-money card is a discount of 100 KRW per trip on the train (that’s 10% off!). Subway fares are based on the distance travelled – 1050 KRW for the first 10km (which covers most area within the city centre) and 100 KRW per 5km thereafter. Note that by using a T-Money card, you can transfer between the bus and the subway for free up to 30 minutes after your last scan. If you, for example, travel 10 km by subway, transfer to a bus and travel a further 5 km, 1050 KRW will be deducted once you leave the subway. Nothing will be deducted when you enter a bus, but you will be deducted 100 KRW for the extra 5 km journey you made on the bus. Note that if you do not tap the machine as you leave the bus, you will be charged the maximum fare possible by the route. The important thing to do is to get hold of the above subway map, either in hardcopy or on your mobile app. Once that is done, find out your starting point and your destination and see if there is a direct line servicing the 2 stations. If you scrutinise the map carefully, the connections between different lines can be very erratic. For instance, if you want to get from Gangnam to Sinsa, the physical distance may seem really close but there is no direct connection. 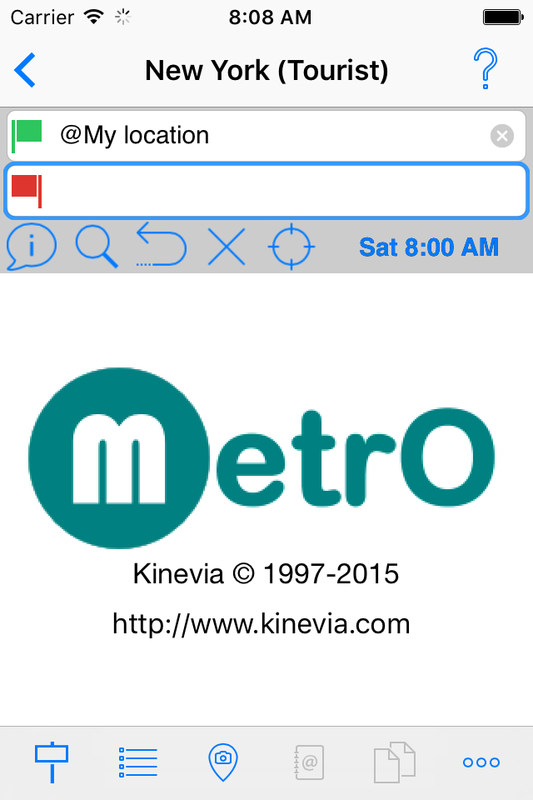 To simplify things, I use an app called Metro to plan my route. It practically covers all the train/subway in the major cities, so there is no need to use another app for other cities. This app tells you the number of stops, the shortest route and the travel time. While planning for my recent trip, I came across a group of bloggers who compiled a list of stops on the 9 different subway lines in Seoul. Check out the various lines before if you are planning for something different for your upcoming trip! Part 4: Should I get a local Sim card, WIFI egg or none?